One of my relatives recently had a baby, so I decided to make her some gifts. First, I embroidered a cute ladybug design onto a onesie and burp cloth. I just love this little ladybug applique! 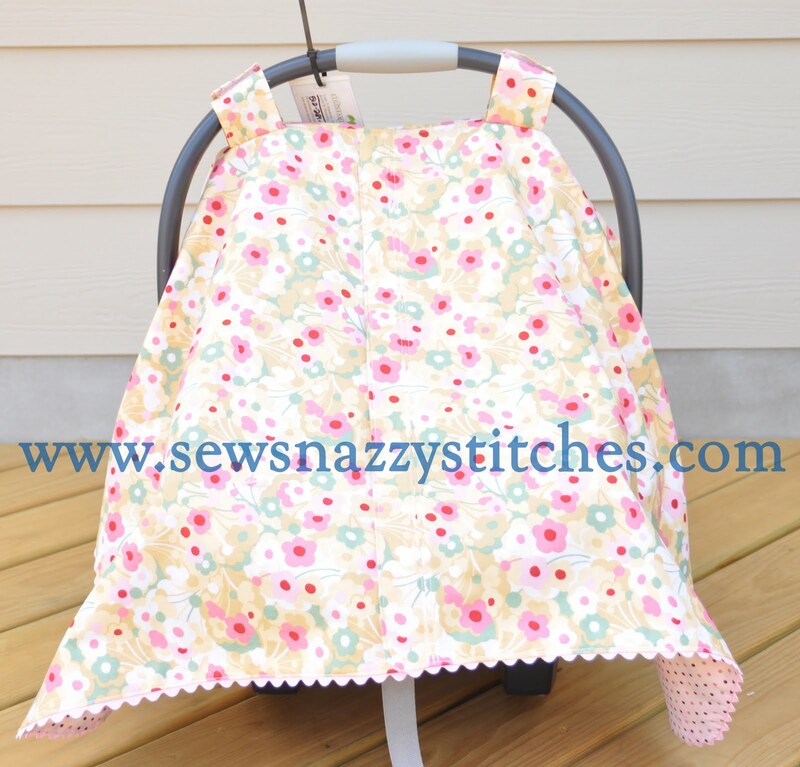 On another burp cloth, I sewed some coordinating fabric onto the front. 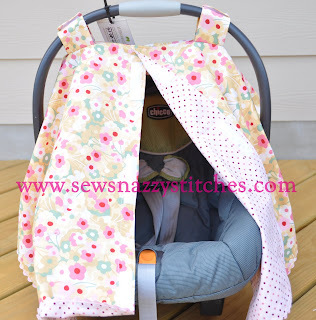 After I finished the onesie and burp cloth set, I started working on a car seat canopy. 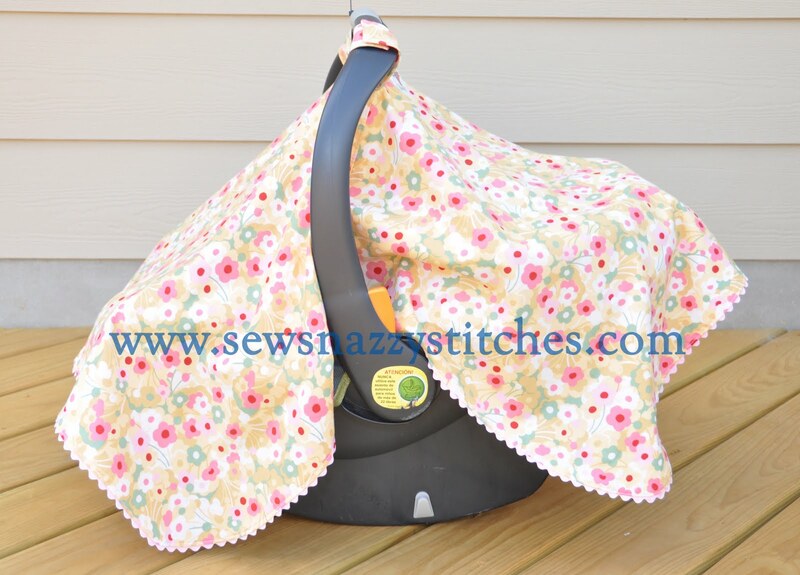 These are great for keeping the sun off baby's eyes or the cold from hitting their face when you're out running errands. Before I began, I found some great instructions from another blog. 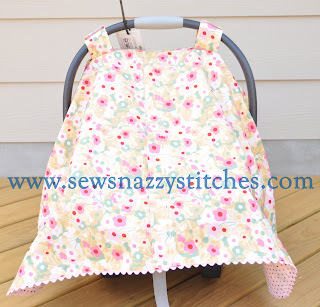 "Just Because I Am Me" is a cute blog where you can find sewing tips and recipes. Click HERE to go directly to the instructions. 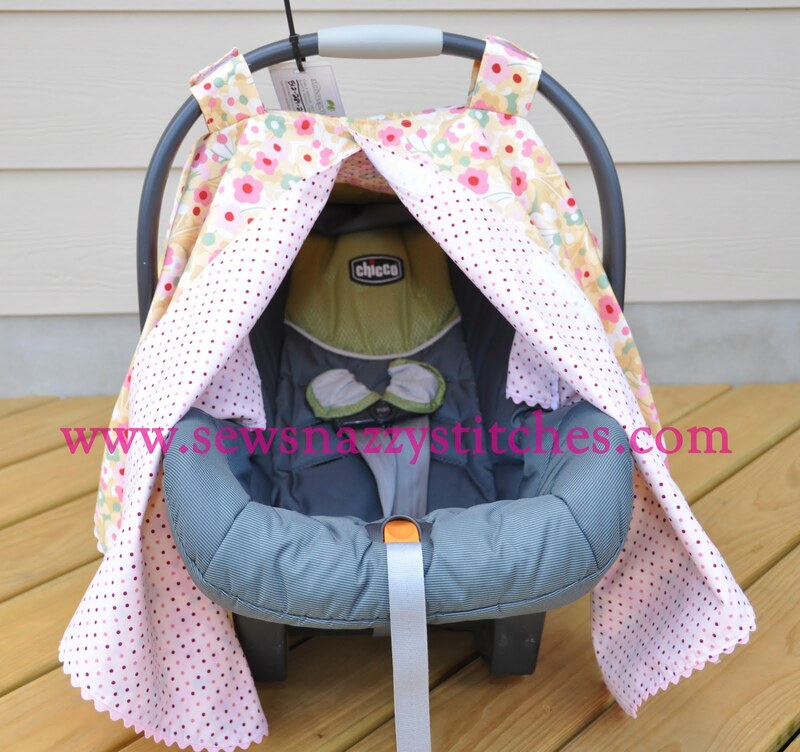 Using the instructions from the other blog, I was able to make my very own car seat canopy! Here it is! ...or a lot (as seen below;). With all the beautiful fabric prints out there, a car seat canopy is a must have baby item! Take care everyone & stay FABULOUS!